In the event, early opinion poll leads evaporated and far from increasing their majority, the Conservatives lost their overall majority and were forced to seek backing from Northern Ireland’s Democratic Unionist Party. Negotiations with the EU have now formally begun and concerns have grown that the UK stance is still unclear, despite the Brexit vote to leave having been taken over 12 months ago. May’s long-term political position seems untenable but in view of the important negotiations with the EU now in full swing, it is unlikely that there will be a leadership challenge in the near term. The weaker government’s position coincided with publication of equally disappointing economic figures with the slowdown in activity now seemingly becoming ever more entrenched. Inflation which has been pushed higher because of the depreciation of sterling over the last year is now detrimentally impacting consumers’ confidence and spending. It is ironic that the UK, which had been performing well relative to most other developed economies in recent years, has hit the buffers just when many other economies (and in particular, those in the Eurozone) have moved up a gear. The recovery in global economies, which was becoming evident towards the end of 2016, remains in place. Although the headline growth forecasts for global output are unchanged from those published three months ago, they mask diverging fortunes across different countries. Improving fundamentals and growing positive momentum have strengthened the Eurozone economy, with forecast growth rates of all the major economies being increased both this year and next. In contrast, the shorter term outlook for both the US and the UK has been reduced following weak performance in Q1. The former has also suffered from faster than expected monetary tightening this year, while the latter is beginning to show signs of pre-Brexit jitters. Over the near term, we believe that risks surrounding the forecasts are relatively balanced but over the medium term, they are skewed to the downside. Offsetting the possibility that the cyclical rebound could be stronger in Europe (where it will be assisted by a reduction of political risk) is the prospect of a market correction at a time of high policy uncertainty. Additionally, interest rate rises, not just confined to the US, could trigger a faster than expected tightening in financial conditions. The forecasts for 2017 and 2018, although on an upward trend, remain well below norms prior to the financial crisis. In line with our continued belief that there will be a stronger rebound in the advanced economies, we have again increased our economic growth forecast for the Eurozone for 2017 and also for 2018. As well as the improving trend for global manufacturing and trade, political risk has reduced, following wins for the French centrist party and the incumbent Christian Democrat party in the Netherlands. We have increased our forecast growth rate for 2017 by 20 basis points (to 1.9%) and by 10 bps next year (to 1.7%). Growth expectations have been raised for many Eurozone countries, most notably for the ‘big 4’ countries – France, Germany, Italy and Spain – on the back of better than expected outturns in Q1. Indicators for Q2 show that this improving momentum is being sustained into the summer, particularly through higher domestic demand. First estimates of Q2 activity indicate that France grew by an 0.5%, unchanged from the previous quarter while the growth in Spain was 0.9%. This latter statistic means that the country has finally returned to the level of activity of 2008, before the credit crunch. Germany is also likely to have posted solid growth in Q2. This buoyant level of activity has yet to feed through into inflation. The present level of price inflation, at 1.3%, remains below the ECB target of ‘under but near’ 2% while a IHS Markit survey also highlighted that businesses raised their prices at the slowest pace in five months in June. The downside of this improved picture is the likelihood that the ECB will at some point reduce fiscal tightening, either by raising interest rates or by cancelling their bond buy-back programme – or both. Further good news for the single currency bloc is the sustained reduction in unemployment, now down to 9.1%, its lowest level for over 8 years. As the political risk in Europe has subsided, so have bond spreads. Measured by the margin above yields of German bunds, yields of bonds across Europe have fallen this year. Greece, so long outside the bond market arena, has announced that it will issue its first tranche of government debt – a five year bond – further indications of the improvement witnessed in the Eurozone. Hopes that Britain could escape the widely expected slowdown following the vote to leave the European Union have finally been dashed with the release of a series of disappointing, but not unexpected, statistics. After a weak Q1, where growth came in at a downwardly revised 0.2%, the first estimate of growth in the second quarter was posted at 0.3%. These two weak quarters of growth have prompted widespread downgrades to 2017 growth forecasts with most now expecting the UK to grow by less than 2%. This lacklustre showing is in contrast to the eurozone where forecasts continue to be upgraded. Much of the weak activity over the last six months is a result of weak consumer spending. The depreciation of sterling, which commenced as the vote to leave was being counted, has resulted in higher inflation with recent months’ data showing inflation ahead of the Bank of England’s target of 2%. More importantly, inflation is running ahead of wage growth again, a feature that is prompting many consumers to limit their spending. Wage growth remains muted, despite high employment levels and it will take some time for inflation to return to pre-Brexit levels, indicating that consumer spending may disappoint for some time. The flip side of higher inflation from sterling depreciation is the potential boost it can give to exporters. Manufacturing seems at last to be taking advantage of the weak pound. The Markit/CIPS survey for July found that export orders rose at the fastest pace for over seven years. Further indications of the UK slowdown comes from a couple of recent surveys published in July. Lloyds Bank’s regional Purchasing Managers’ Index for England shows business activity at its lowest in nine months, highlighting that cost pressures remain high. The monthly IHS Markit survey shows UK business confidence at its lowest since October 2011, with confidence amongst service sector companies at its weakest for seven years. There is one bright spot in these surveys: manufacturers’ capital expenditure intentions are amongst the highest since late 2014. Our expectations for growth in the UK have been reduced to 1.7% this year (from 2.0%) but that for 2018 has been maintained at 1.5%. Risks remain elevated, and are heavily weighted to the downside. Britain’s planned exit from the EU raises fundamental questions and uncertainties for which there are no comparable precedents. Market Commentary An economic slowdown, political and economic uncertainties, rising inflation and bond yields, static rents and stalling consumer confidence is hardly the ideal scenario in which commercial property thrives, yet Q2 returns as measured by the MSCI (IPD) Quarterly Index remained remarkably resilient. Total returns of 2.4% for Q2, following Q1’s 2.2% have produced total returns for the first six months of the year of 4.7%. It seems that while UK investors have become wary of UK commercial property, overseas’ buyers seem dismissive of the above fundamentals. As Alan Carter of brokers Stifel Nicolaus Europe said, “the greater the macro uncertainty, the greater the hunger from overseas’ buyers to own large UK real estate”. Much of these purchases are supported by, and can be justified by income return, but one wonders for how much longer. Activity in UK commercial property over the past couple of years has increasingly been focussed on large trophy assets, mostly located in London, but interest is not only getting warmer, but broadening out into student accommodation, distribution centres and increasingly into serviced offices, where WeWork has been particularly active in London. The business models of some of the largest players in the market are changing. The WeWork serviced office company is now buying office space instead of leasing while the giant Amazon group has announced plans to develop (and keep) its own space rather than pay rent to external landlords. Both moves could have interesting ramifications for the direct property market over the coming years. The serviced office market is undergoing rapid expansion. This specialist office segment has become the third largest takers of central London office space in the last decade. Blackstone has bought the Office Company while the aforementioned WeWork alone has been responsible for over 10% of all central London Office lettings in the 12 months to the end of June 2017. We have stated for the last six months that market forecasts for 2017 have been too pessimistic. The current (Spring) IPF consensus forecast for 2017 indicates an expectation of total returns of 4.8%, which was increased from the previous quarter’s 3.2%. The market has already delivered this in the first six months. However, we now believe that the current forecast more realistically assesses expectations and that total returns for this year, as measured by the MSCI (IPD) Index will be around 5-7%. We believe that with rents at best static and coupled with rising bond yields, the weaker economic backdrop will at some point begin to adversely impact on what are now exceptionally hot property yields. It is difficult to predict exactly when property yields would start increasing but historically, property yields have tended to follow bond yield movements with a lag of between six and nine months. That would suggest that property yields may come under upward pressure towards the end of this year. Central London office take up remained not only resilient over Q2, but was significantly above the equivalent period of 2016, apparently shrugging off political concerns and economic slowdown. Take up for the first six months of the year was 3.15m sq ft in the City and 2.4m sq ft in the West End, up 19% and 28% respectively from last year. Both letting totals are almost one-third higher than the long term average. Highlighting the relatively low supply in the City core, fringe areas of the City accounted for just over half of the take up. Covent Garden has emerged as the most popular location this year in the West End. Despite these robust letting figures, vacancy rates have increased over the course of the last 12 months. Across the two sub-markets, there is almost 12m sq ft of office space available, equating to a vacancy rate of 5.6% in the City and 4.1% in the West End. The City vacancy rate has remained relatively stable over 2017, but is up from the 4.5% recorded at the end of June 2016. The West End rate has been on an upward trend over much of the last 12 months, and is 30 basis points higher than that recorded three months ago.Development is increasing but it is encouraging to note that much of the development pipeline has been pre-let. Over one-third of all completions in the City over 2017-2020 has already been let, while almost 30% of that completing in the West End in that period has similarly been pre-let. A recent feature of the investment market has been the increasing size of many of the transactions seen across central London. This continued into Q2. City transactions have totalled £4.1bn over the first five months of the year, 7% higher than that recorded over the same period of 2016, but the average lot size, at £77m, was higher than in the past. The situation in the West End has become even more acute. Turnover totalled £3.16bn over the January to May period which although was 7% lower than that seen in 2016, resulted in an over 20% increase in the size of the average transaction. Already this year, there have been 10 transactions above £100m, the highest number ever recorded. Much of this buying interest has come from overseas. 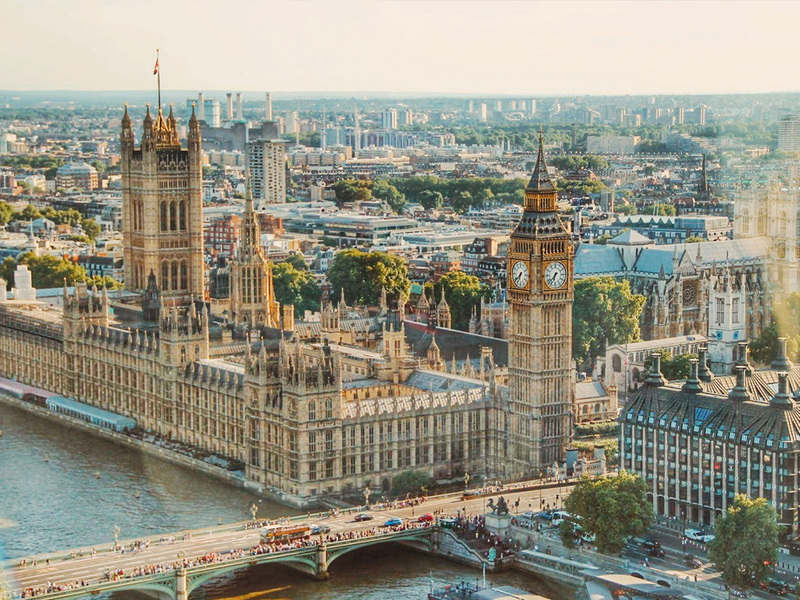 While many domestic investors have either been sitting on their hands over even actively reducing holdings, overseas investors, many from the Far East, have targeted prime London properties. This year they have accounted for the bulk of purchases above £100m. Following the depreciation of sterling, purchasing British assets have become noticeably cheaper for overseas investors, but one wonders how long this buying spree will continue.